There have been some classic books written about France by authors who aren’t French. These books offer an interesting insight into French culture, food, literature, art, and life, but are by American and British authors. 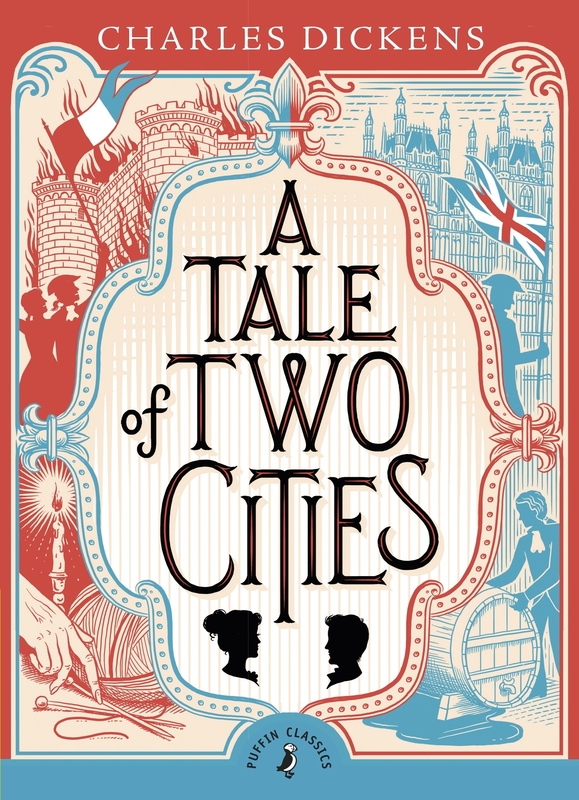 Charles Dickens was an English author, but one of his most popular novels, A Tale of Two Cities (1859) is set in both London and Paris before and during the French Revolution. The novel shows the difficult lives of French peasants oppressed by the royalty and how that led to the revolution. It also shows parallel life in London. A Tale of Two Cities was originally published in weekly installments from April 1859 to November 1859 in Dickens’s literary magazine, All the Year Round, and is now considered the third best selling book of all time. If you want to truly understand the French Revolution, this is the book for you. Ernest Hemingway was an American author and journalist. His style had a huge influence on 20th century fiction, and his adventurous life and public persona have influenced people for generations. For several years between WWI and WWII, Hemingway lived and wrote in Paris, and the city had a tremendous impact on him. The Sun Also Rises, one of Hemingway’s earliest novels was written during this time period, and gives a fictional look at what it was like for American artists living in Europe between the wars. A Moveable Feast is a memoir about the time Hemingway lived in Paris and was surrounded by other authors, artists, and creative minded people – like F. Scott Fitzgerald, James Joyce, Ezra Pound, Vincent Van Gogh, and Gertrude Stein. Both books would be incredible reads, because we’ll spend a great deal of time in Paris’ French Quarter, Hemingway’s neighborhood while he lived in France. Edgar Allan Poe was an American author credited for creating both the horror and detective genres. Three of his most famous short stories are mysteries set in Paris. The protagonist of these tales is C. Auguste Dupin, a fictional detective created by Poe. 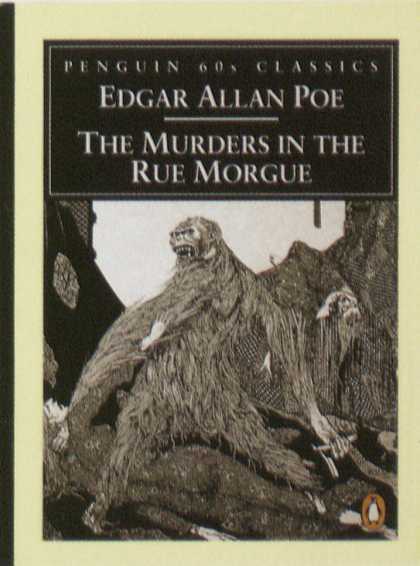 Dupin made his first appearance in Poe’s The Murders in the Rue Morgue (1841), widely considered the first detective fiction story. Future literary detectives, like Sherlock Holmes, owe a great deal to Poe’s character. Dupin reappears in The Mystery of Marie Rogêt (1842) and The Purloined Letter (1844). Dupin is not a professional detective and his motivations and methods change throughout the three stories. Dupin combines intellect with imagination, even putting himself in the mind of the criminal, to solve Poe’s mysteries. Mystery writer’s owe so much to Poe’s Dupin stories that the annual award given to mystery authors is called the Edgar Award. F. Scott Fitzgerald is another American author, who befriended Hemingway while both lived in Paris during the 1920s. Fitzgerald lived a troubled life, coping with alcoholism and his wife, Zelda’s mental illness. Tender is the Night, which is considered by many to be his greatest novel, is written about this time period in Scott and Zelda’s lives. In many ways, the novel mirrors the lives of The Lost Generation crowd Fitzgerald socialized with while living in France. Another of Fitzgerald’s beloved novels, The Great Gatsby (which isn’t about France at all) was written while Fitzgerald lived in France, and the author shared early drafts with Hemingway while sitting in a cafe in the Latin Quarter of Paris. The cafe is still there. Julia Child My Life in France is an autobiography by famous TV chef, Julia Child. Those of you really interested in French cuisine may enjoy this book, because it was Child who helped make French food and cooking popular in the United State. In Child’s own words, “it is a book about the things Julia loved most in her life: her husband, France (her “spiritual homeland”), and the “many pleasures of cooking and eating.” It is a collection of personal narrative stories, focused on the late 1940s and early 1950s when Child and her husband, Paul, lived in France, and Child took cooking classes at the most prestigious culinary school in Europe. Therese Ann Fowler is a more modern American author. Her book, Z: A Novel of Zelda Fitzgerald, is a fictional answer to Hemingway’s A Moveable Feast. Zelda Fitzgerald, the wife of author F. Scott Fitzgerald, tells her story of their time in Paris during the 1920s. A different perspective on the lives of some of literature’s most celebrated authors and a unique look at the Lost Generation and Paris in the 20th century. “A Tale Of 2 Cities” By Charles Dickens was a story about the French Revoultion. It was one of his most popular books. The story was about Paris and London. Both had poor people called “French Peasants”. Those were poor people who had no job and no place to live. Most people didn’t agree with calling poor people “Peasants” and treated them like they weren’t human. The Book mostly was about how they lived and what happened during and before the French Revoultion. The Story had many characters including Towns People,Spies,Doctors, a king, and a queen. I liked the book a lot. At some points in the book, Charles made it very hard to figure out what was happening at the time. Like it would be talking about one event and then mix it with another. Also the book was very long in chapters and was a very small font, so it took a while to read the book. Other than that, I thought the book was great. I was surprised I could read it because the book was meant for highschoolers. I would rate this book a 9/10.